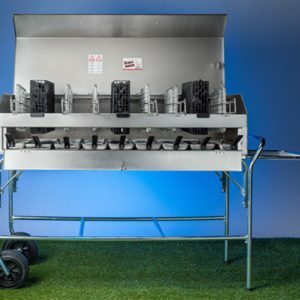 By eliminating much of the fat from various meats and cooking with charcoal, this bbq guarantees to bring out the true taste of all foods grilled in a healthy fashion. 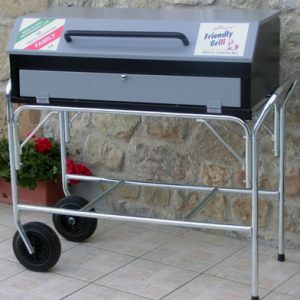 All Amico BBQS are designed and manufactured in Emilia Romagna, Italy, to the highest standards. 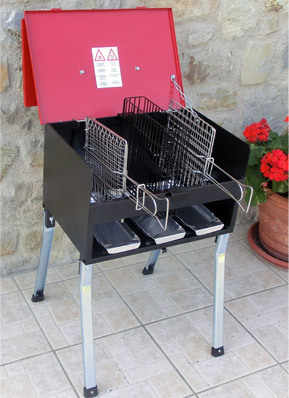 Bbq’s over a decade old are still in use today. 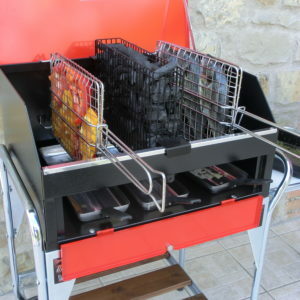 Because of the unique way of barbecuing (in a vertical fashion) the amount of smoke emitted is minimal. Ideal for condos, townhouses, etc. 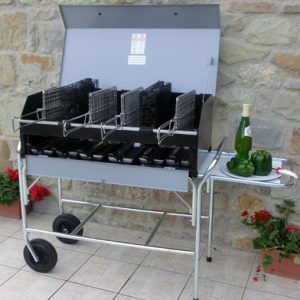 From the Pick-Nic, a portable bbq which can be used as a table top or with legs, to the Company which can barbecue for over 20 people at once, all Amico Bbq’s take only minutes to assemble. 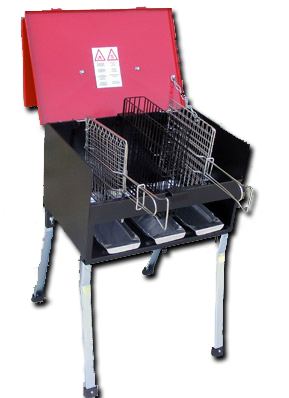 No accessories or gas canisters needed. 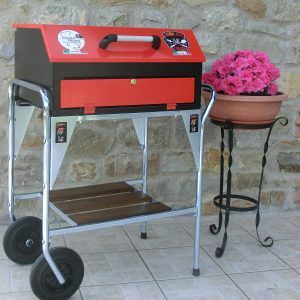 Everything is included for all your barbecuing requirements. 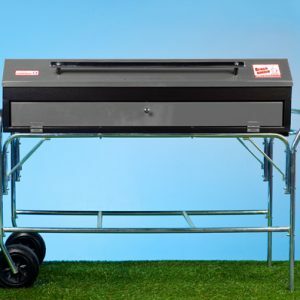 Time to barbecue is quicker and can be used for whatever amount of people desired.